A growing number of preparedness items that the typical prepper has in their kits are run by batteries. 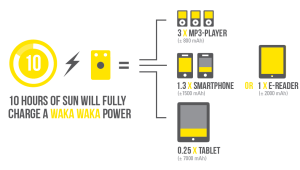 From Iphones to AM/FM radios to ham HT’s and flashlights, these low power devices need juice. 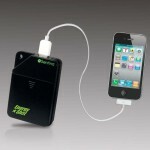 There are several ways to keep them charged, either with their built in batteries or with rechargeable NiMH cells. So just what is the best way to keep the power up in all those devices? This week on The Prepared Canadian we will take a look at charging options for when you’re on the go. Yes, of course there are solar panels combined with deep cycle batteries, but these can get heavy to hump around with and frankly, there are better options coming onto the market. If fact, in addition to typical 12 volt chargers that work great when you have a car with you, 5 volt USB charging devices are becoming more popular. 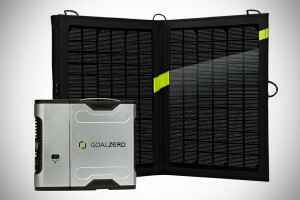 Products such as the BioLite stove, an assortment of gear from Goal Zero, and the Waka Waka Power, which I review this week all have their advantages, and unfortunately some disadvantages. Not to be forgotten are the crank powered devices such as flashlights and radios that claim to be useful in charging mobile phones. No built in battery in your device and have to use rechargeable NiMH cells? No problem. I also have a solution for recharging those AA and AAA batteries using all those new 5 volt gizmos. Listen to this broadcast on Devices For Survival go to Listen & Chat in player below! Previous: Previous post: Hunting for food, will it be there? Next: Next post: Exploration of Sacred Geometry!